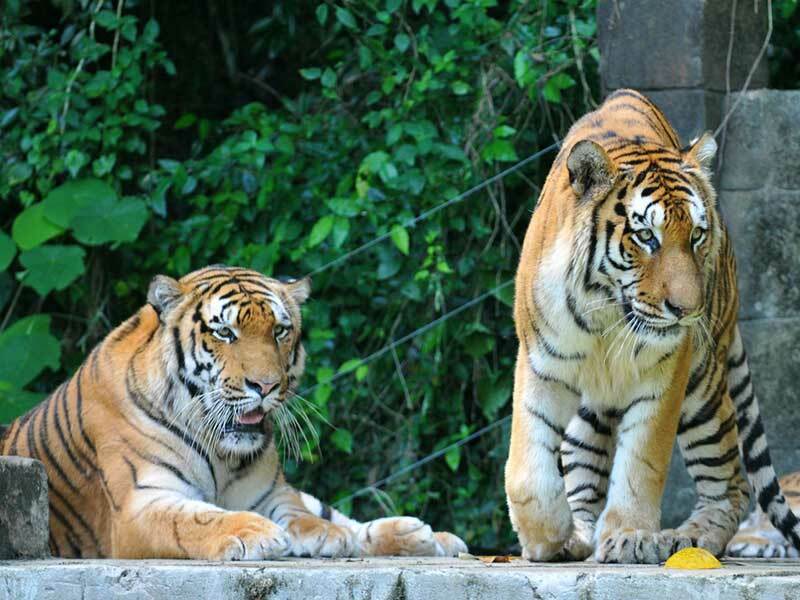 Tigers are the largest of all wild cats and are renowned for their power and strength. 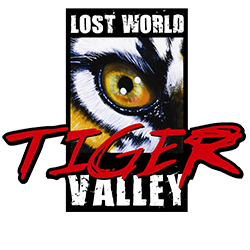 Get up close and personal with our very own Siberian Tigers at Lost World Tiger Valley. Watch as our trained rangers conduct feeding time for these great cats and be amazed by their agility, strength and power. The Siberian Tiger is reddish-rusty, or rusty-yellow in color, with narrow black transverse stripes and this subspecies rank among the biggest living cats in the world. They are powerful hunters that travel many miles to find prey, such as elk and wild boar, on nocturnal hunts. 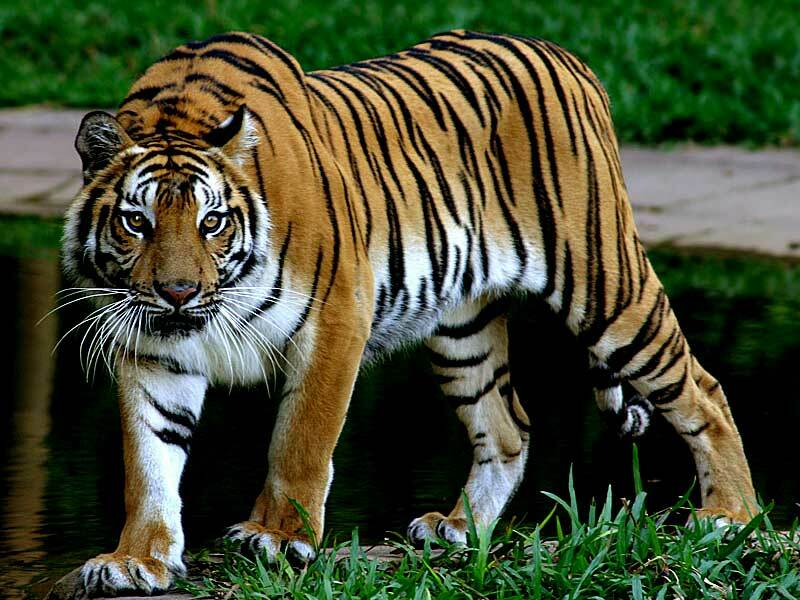 Tigers use their distinctive coats as camouflage (no two have exactly the same stripes) and hunt by stealth. 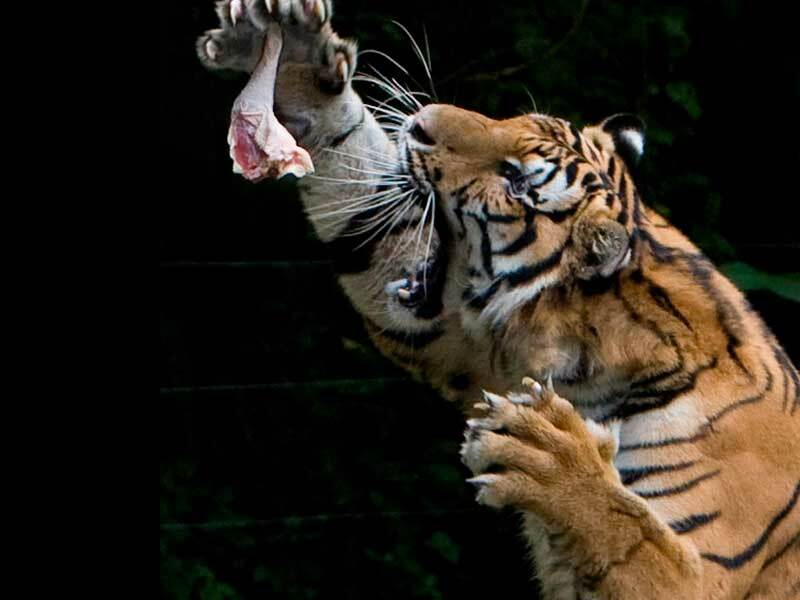 A hungry tiger can eat as much as 60 pounds (27 kilograms) in one night, though they usually eat less. These cats are also excellent climbers and swimmers as you’ll see if you get the chance to catch our Tiger Feeding Show.